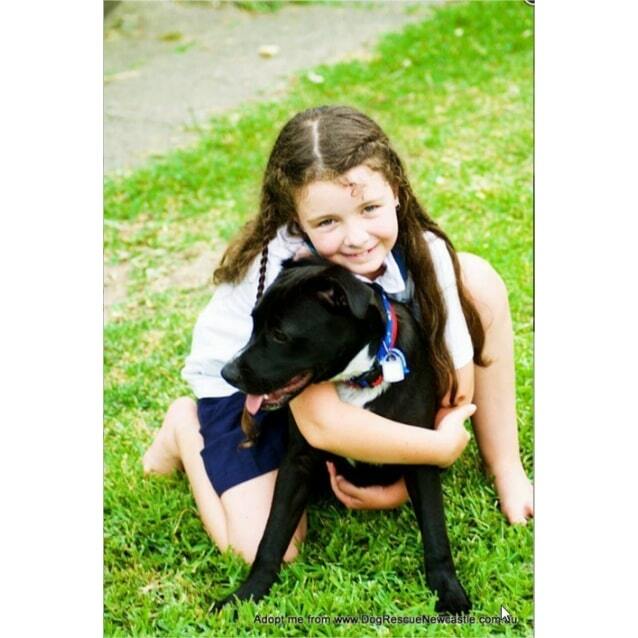 Contact Vicki at Dog Rescue Newcastle to express your interest. Introducing Petey! 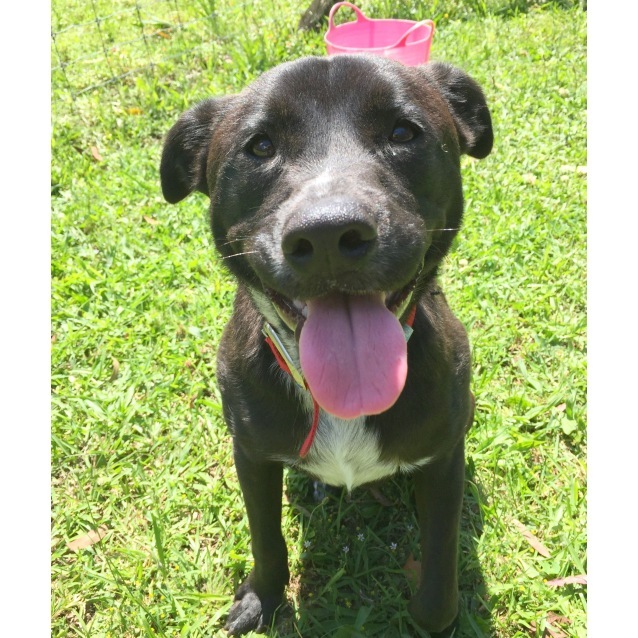 Petey is an effervescent and charming 16 month old stumpy tail cattle dog x staffy. He's also a friendly Little Rascal just like his name sake in the TV Show! 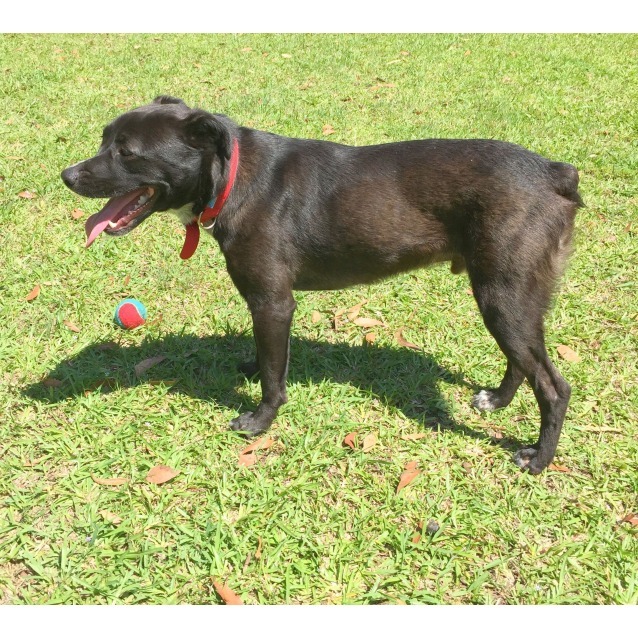 He has a very dark chocolate coat and a stumpy tail which he wags when he sees you. 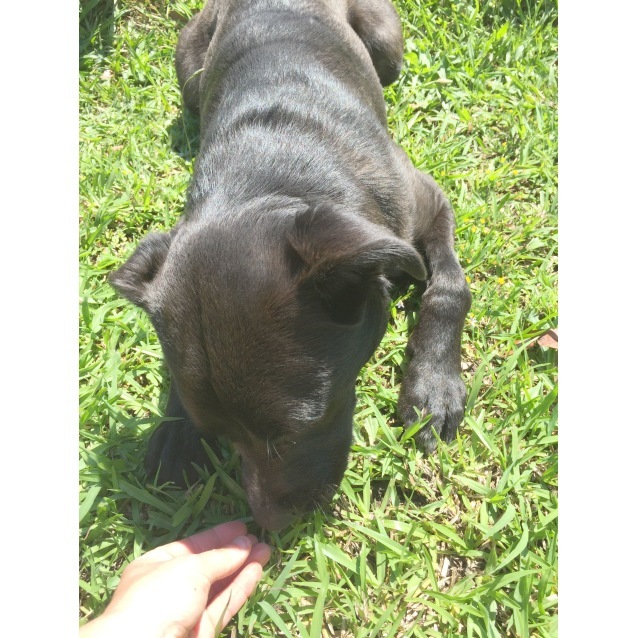 Petey is curious and bubbling with energy - he loves to be in the outdoors and seeing what's going on in his surroundings. 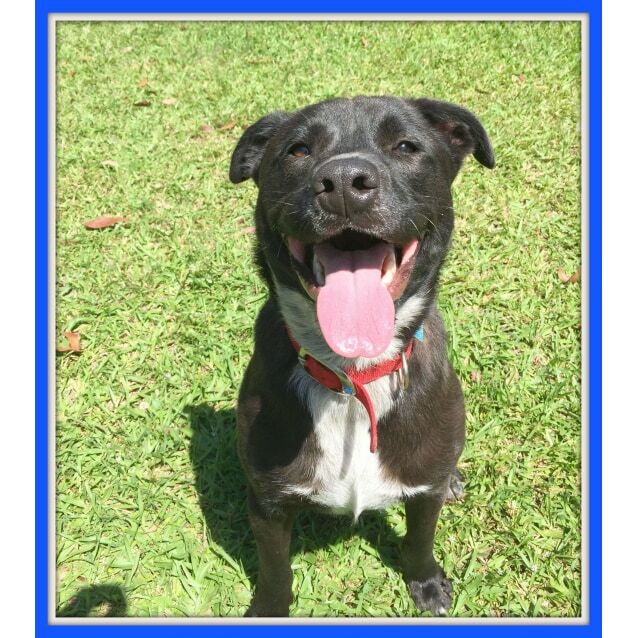 He is also a cuddler who loves snuggle time with his family so he's a great mix of energy and love. 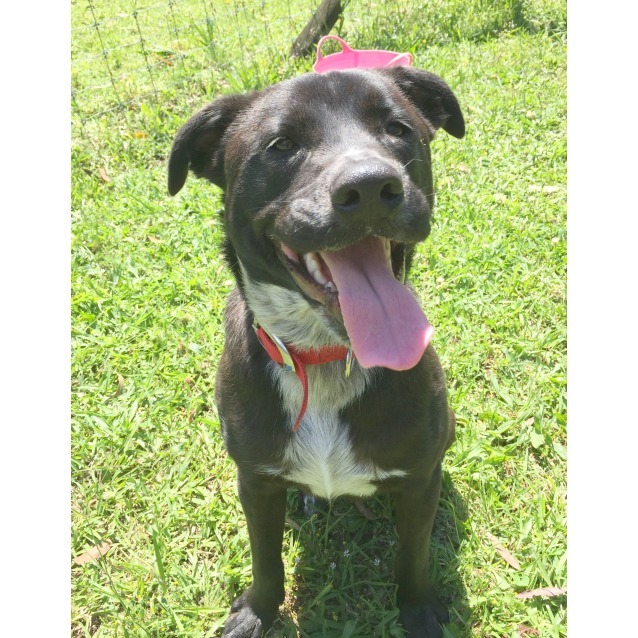 He loves to sit or lay next to you to get ear scratches or a tummy rub - if you rub his tummy he will be your loyal friend forever. Petey has a fondness for playing in water so he enjoys a paddling pool. If you live by a lake or the beach he would be in heaven joining you for outings so he can play in the water. He also enjoys chasing the stream of water from the hose - it's his way of helping you with your gardening! 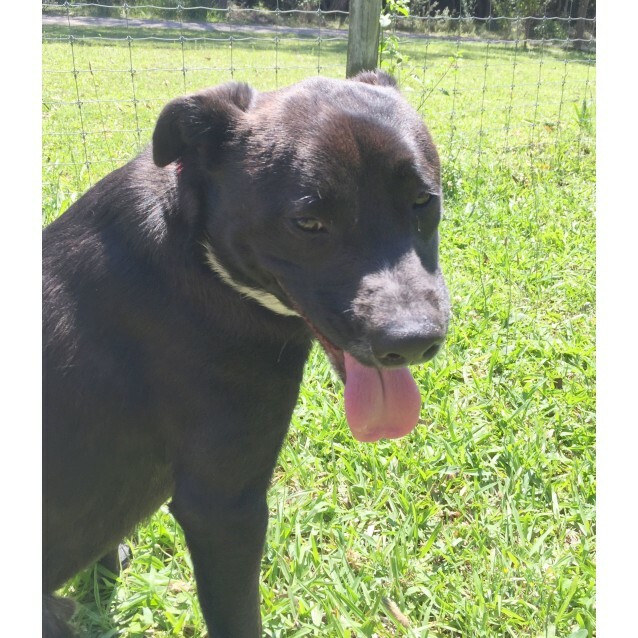 Petey is still at the end of puppy-hood so he is energetic and full of fun - he would thrive best in a home with an active outdoorsy family who will walk and play with him every day. If you are a runner he would love to join you for a run to wear him out, and then spend he will spend the day hanging out and recharging his batteries. 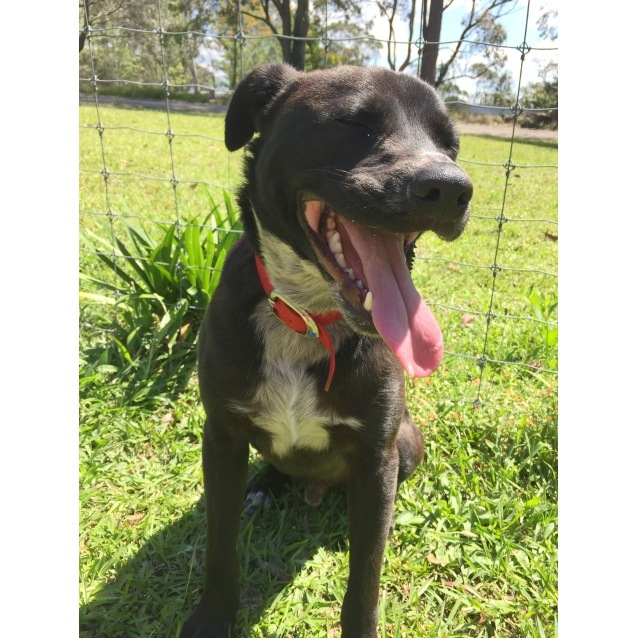 Being a cattle dog x staffy he is a mixture of two very smart breeds so he is clever and enjoys mental stimulation with games and activities. As with many young dogs he's not suited to being left alone in the yard all day. He is very people focused and enjoys being both inside and outside included as part of family fun. 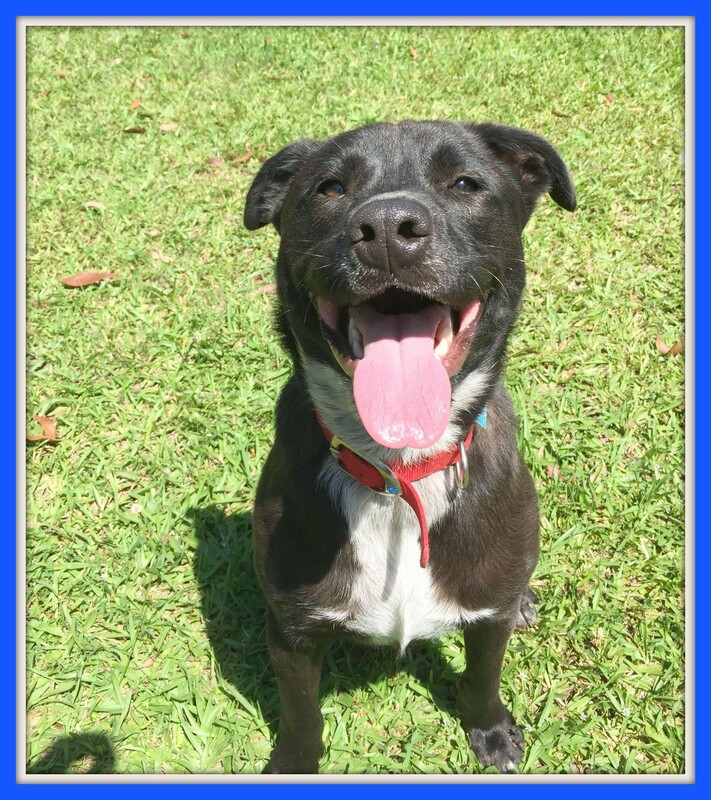 He is house-trained when inside and would love a family where he is welcome to sleep inside. 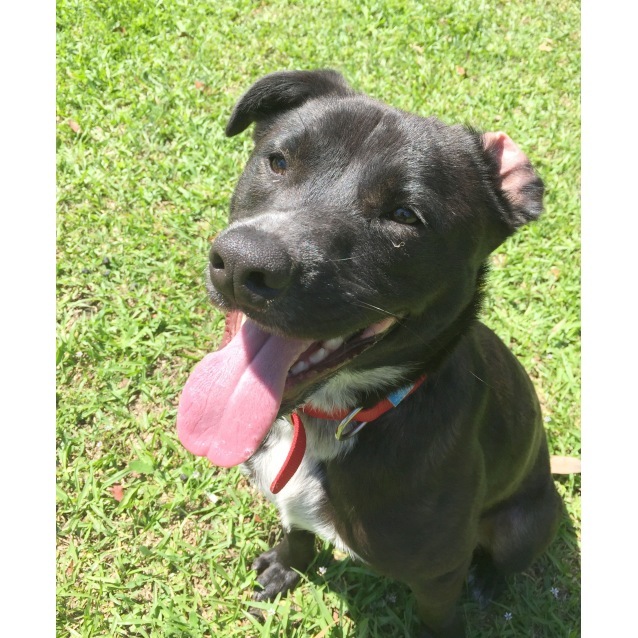 Petey is best suited with a friendly and playful female or male dog as a canine companion. 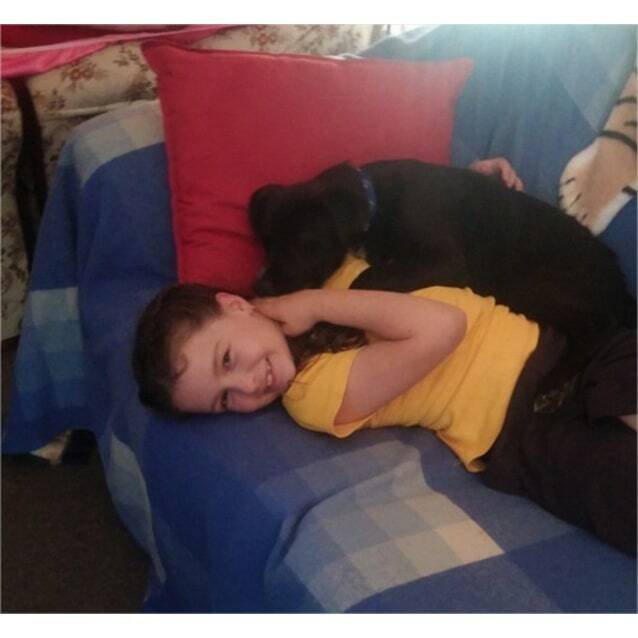 He is currently in care with many dogs and he loves to play with all the young and playful ones.. he's a lady's man through and through as he is best friends with two female playful dogs called Sally and Frankie - he loves them and will play all day ! 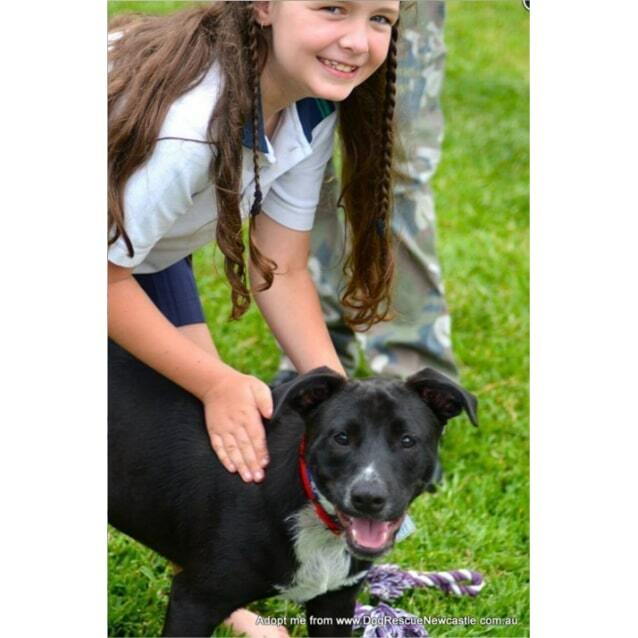 Petey is also best suited to a home without pocket pets or cats. 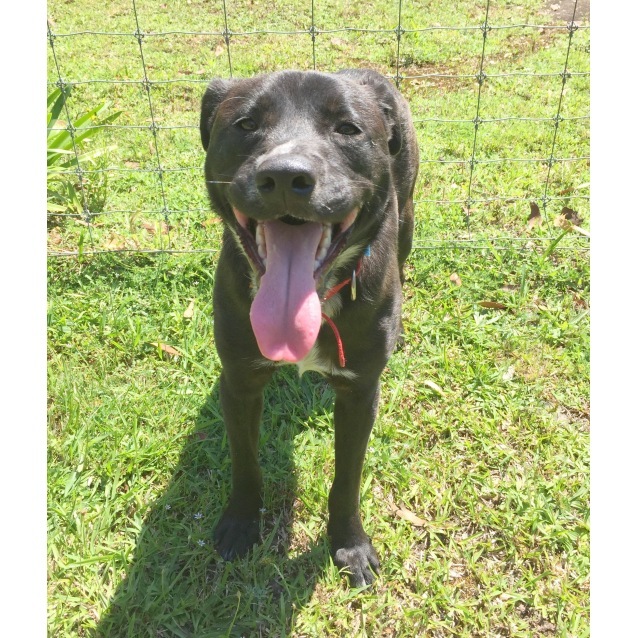 Petey is friendly with children and plays well with them - he's happy to share his toys and play chasings and be involved in their games. 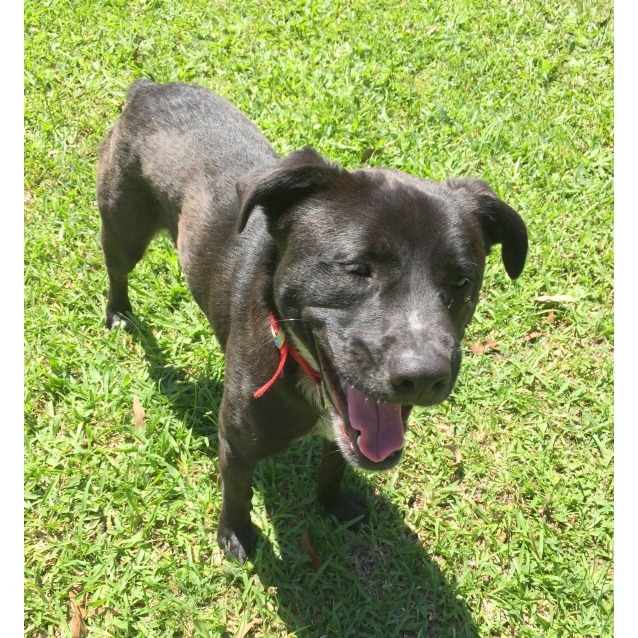 With his age and playfulness, he may accidentally knock over little toddlers so he is best suited with kids older than 8 or confident children who are used to playful dogs. 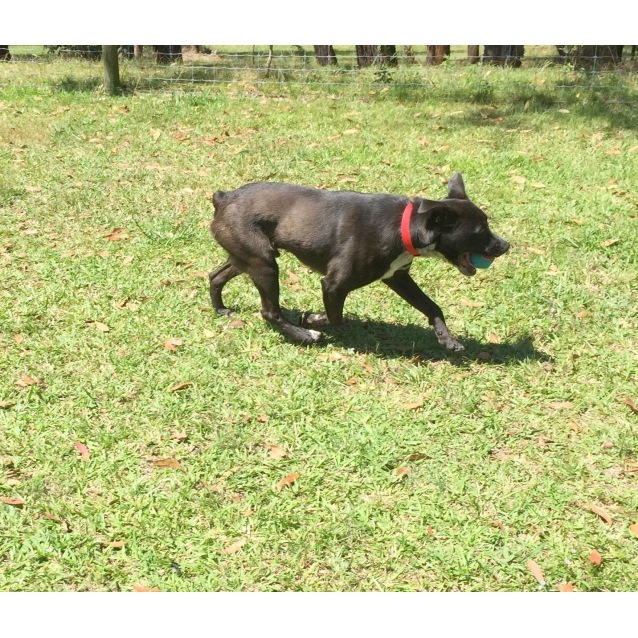 He loves to play fetch and brings the ball back (most of the way, most of the time!). Petey is a typical young and playful pup when walking on lead so is easier to walk on a front clipping harness or a halti. He could be trained to jog or run next to you with positive reinforcement if you wish for a jogging companion. Petey has very good manners around the house, he sits and drops and loves praise. 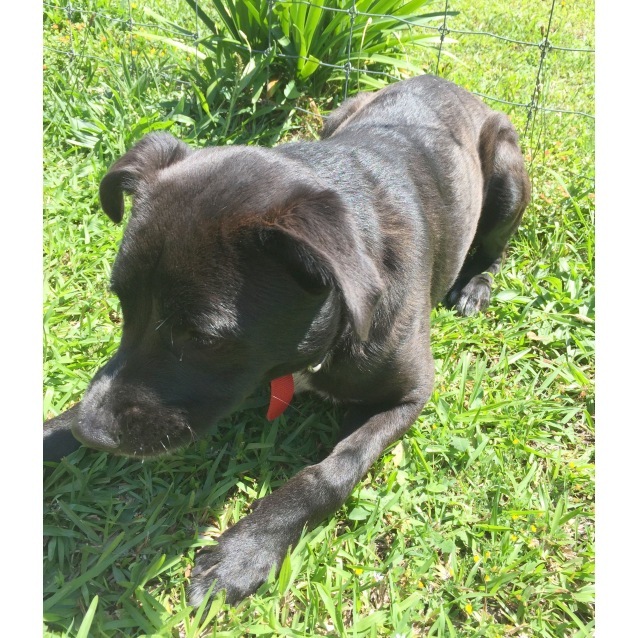 For more information or to meet Petey please contact Vicki on email vdavies93@gmail.com or 0438 640 193. 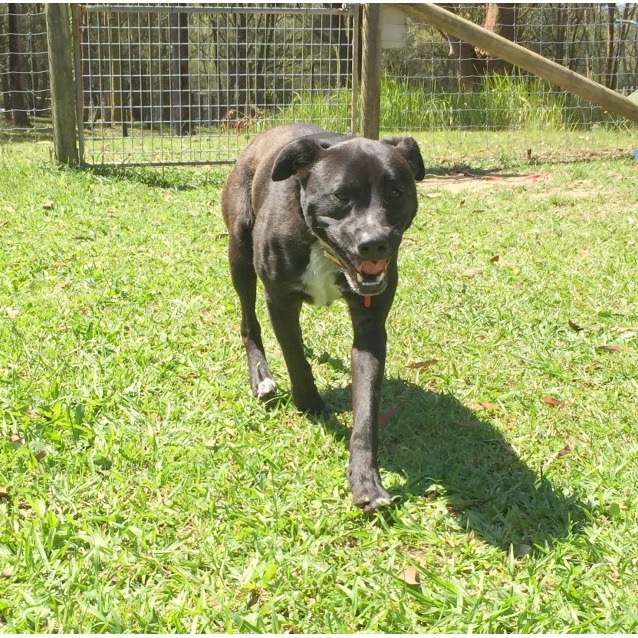 Petey is in foster care Tenambit, NSW 2323 (west of Newcastle), and is available for adoption interstate.